Tennis: Why the Australian Open final between Federer and Cilic could be more competitive than between Federer and Nadal in 2018? The fans would have preferred a Rafael Nadal versus Roger Federer blockbuster again this year, but they will get to watch a Roger Federer versus Marin Cilic 2018 Australian Open final instead. Why isn’t a Rafael Nadal versus Roger Federer as exciting anymore? What made the matchup exciting earlier was Roger Federer’s inability to find a solution to Rafael Nadal’s lethal topspin to his single-handed backhand. Nadal’s ability to wear down the GOAT with a continuous barrage of spinning balls to Federer’s backhand was thrilling to watch. Even if Roger was a set and a breakup, one could still bet on a Nadal victory, and more often than not, Federer would oblige. The matchup was also exciting because many, including I, wanted to see if Roger would ever solve the problem called Rafael Nadal. In 2017, after a six month injury time off, Roger Federer laid the Rafael Nadal demon to rest for good. Roger Federer’s retooled backhand and the larger racket-head blunted the only advantage that Rafael Nadal had on him. Nadal has no other weapon that could bring Roger down. Much like the last three meetings between these two a rematch, on the slightly faster courts of the Australian Open, would result in a straight set beatdown of Rafael Nadal. 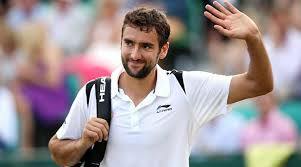 Why is a Marin Cilic versus Roger Federer more promising? There’s still the possibility that the 2018 Australian Open’s final could be a complete dud like the Wimbledon final last year. However, a Federer versus Cilic, on paper, holds more promise and should be more competitive and entertaining than a Nadal versus Federer. Would’ve been better for Fed to face Nadal again, just to simply prove the fact that Nadal can’t dominate their matchup as he used to. Yes. I agree with your point, even though it may not be as exciting as watching Roger v/s Cilic at present and in their current great forms. Without the concentration lap in the 4th, the prediction would have been correct. It was an up and down match on both sides.